The Drug Policy Alliance is sounding the alarm today that House Republicans are moving to continue marijuana prohibition in the nation’s capital. Washington, DC residents voted overwhelmingly in favor of replacing failed cannabis prohibition with a system of taxing and regulating the popular psychoactive botanical. But Kentucky Congressmember Hal Roger, chair of the House Appropriations Committee, and Maryland Congressmember Andy Harris, the amendment’s sponsor, are moving to defund DC legalization with a rider on a must-pass funding bill. The GOP is hoping to maintain pot prohibition in Washington D.C., activists state. The DPA claims that Democrats are ready to cave to the GOP on the issue and perpetuate the harassment and marginalization of people of color over marijuana. 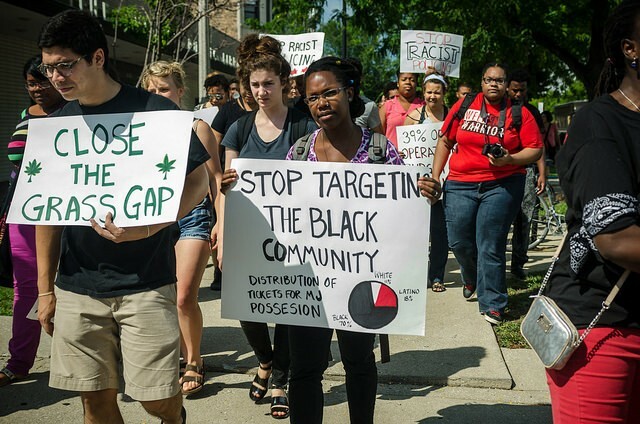 An ACLU report last year found that “in Iowa, Minnesota, Illinois, and the District of Columbia, Blacks are almost eight times more likely to be arrested for marijuana possession than whites,” even though both groups use the drug at the same rate. Congressmember Harris said he wants to continue cannabis prohibition to ensure teenagers picked up for pot are streamlined into the criminal justice system, which include drug courts. A super-majority of Americans want the federal government to keep its hands off state-level legalization, a December poll found.